Please inspect carefully the Polarity indicator, DC plug, Current, Voltage of the electronic device before using this AC/DC Adaptor. Only using indoor, no using under the environment of high weather, high humidity. Please don’t put the flammability, volatile, causticity items on this product closely. Makes wire sound systems become wireless Bluetooth stereo audio music speakers. Can be paired to any Bluetooth enabled devices, such as mobile phone, laptops, speaker. Standard RCA and 3.5 mm jack, easily connected with the speaker input port. 5V USB output port can charge most USB-charged devices, include iPhone,iPad,iPod. Compact and human-friendly design, convenient to carry, suitable for home use and office, etc. This VGA with audio to HDMI adapter can convert general PC signal and audio signal to HDMI format for HD displays. 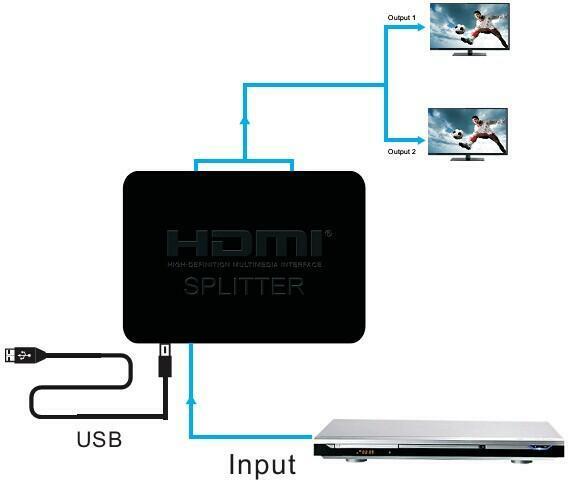 With this converter, the computer, laptop, DVD player, gaming consoles and some other video devices which is with VGA input can connect to large HD screens or HD projectors that is with HDMI input. It can upscale analog video signal from PC input source to digital HDMI OUTPUT, UP T0 720P OR 1080P. Besides video upscaling, the scaler box also converts input audio signal from 3.5MM to digital formats, then output to HDMI combing with the video.